Archie Comics Sonic the Hedgehog June 2015 Solicitations – Worlds Unite continues! 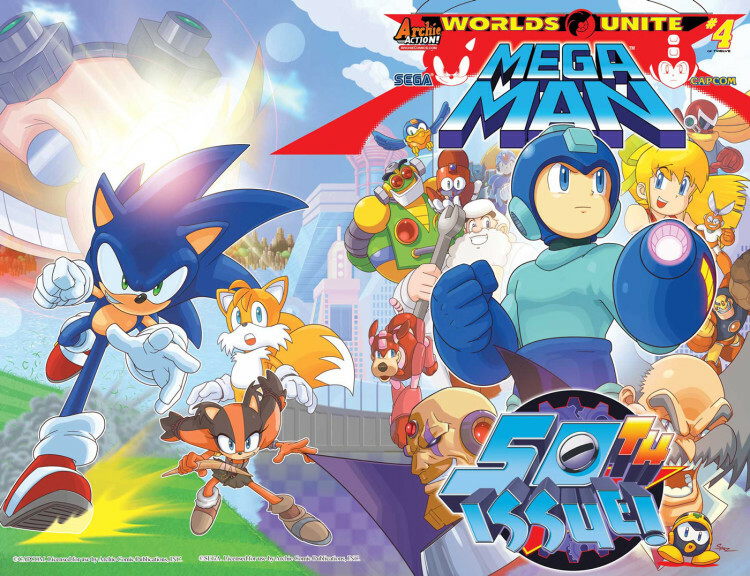 Coming this June from Archie Action its the continuation of the epic Sonic and SEGA, Mega Man and Capcom crossover Worlds Unite – which kicks off the month before in May. Courtesy of Archie, we have the latest solicits, featuring a milestone issue for Mega Man who hits the big five-oh (remember Sonic’s 50th, when Robotnik died? Seems like ages ago) and the premiere of a one shot comic Mega Man: Worlds Unite Battles #1, which expands on the battles taking place within the crossover event. Fans of older Archie stories, meanwhile, have Sonic Archives #25 which brings us ever closer to the 100th issue of the series. Celebrate 50 issues of Mega Man with the latest chapter in the globe-smashing SONIC/MEGA MAN crossover event! “Worlds Unite” Part Four: Act One comes to its mind-blowing conclusion! Sigma’s plan reaches its first stage, and the worlds of Sonic and Mega Man have fused! It’s definitely going to take more than one hero to stop the threat from the future—maybe even ten! Sonic, Mega Man, X, Sticks, the Freedom Fighters, Robot Masters and Maverick Hunters—UNITE! PLUS: Stick around for a special bonus anniversary story as Mega Man and X meet for the first time! Featuring a wrap-around cover from the legendary Patrick “SPAZ” Spaziante! PLUS 5 variant covers from Edwin Huang, Irvin Rodriguez, Patrick Thomas Parnell, Roger & Idalia Robinson and part 4 of the epic 12-part connecting variant cover series by artist Ben Bates! It’s pretty goddamn anime. 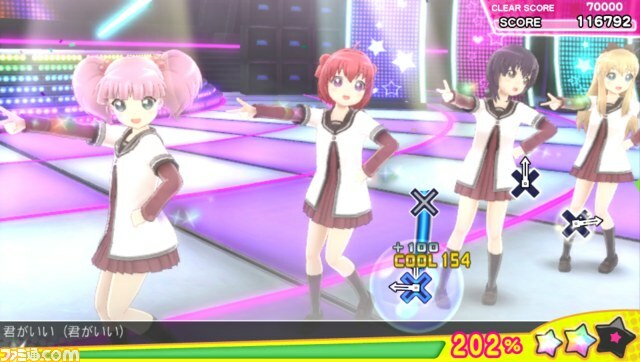 This anime game is called Miracle Girls Festival, and it features various anime characters from anime like YuruYuri, Wake Up, Girls!, Vividred Operation, and a bunch of other anime that my friends who are into anime will probably try to get me to watch. And as you can see by the UI, this game is gonna be a lot like the Project Diva games except will less vocaloids and more anime schoolgirls. This was a pretty good week when it comes to SEGA stuff, with them revealing new games and releasing 3D OutRun, a fantastic re-release of the original game with new features. And among the games they revealed was Tembo the Badass Elephant, an action sidescroller by Game Freak that’s coming to PC, Playstation 4 and Xbox One. It was playable at EGX Rezzed earlier this week, and the first impressions from the couple of our forum members who were there are pretty positive. 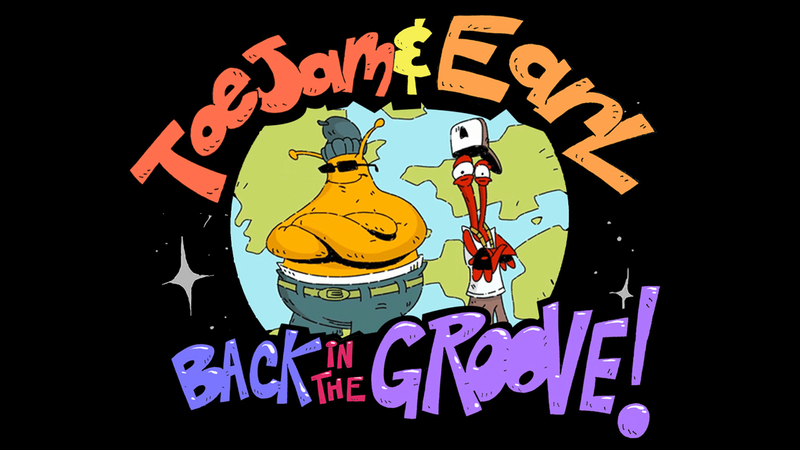 It’s always nice to see a new quirky sidescroller, so we’ll be looking forward to this one. So we all know that Hollywood loves to revive old movies and stuff. I mean, they’re even making two new Ghostbusters movies. But recently they’ve also started making more movies about games. There’s even going to be a movie about video games with Adam Sandler and Peter Dinklage. 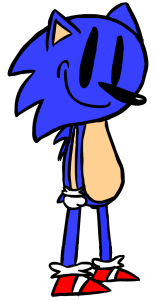 And as you probably already know, even Sonic’s gonna get a movie now. 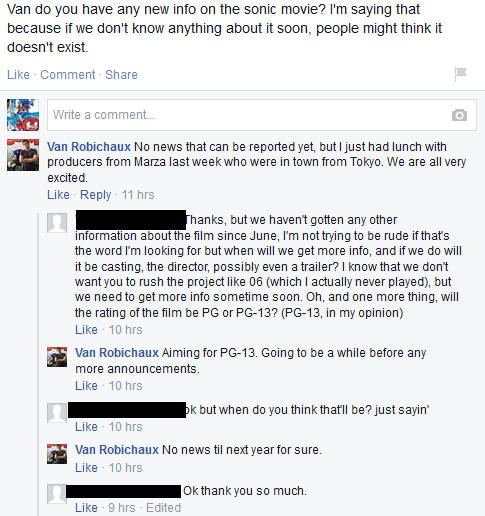 One that might be PG-13. So yeah, Hollywood is crazy. And this is where I forget where I was going with this and instead made this Sonic doodle. Anyway, links. Okay so the SEGAbits gods thought that no longer linking SEGAbits and general SEGA stuff in Monday Links wasn’t such a great idea. But you know what’s a good idea? Still not linking them on Monday Links and instead doing a separate feature with just SEGA stuff and without the Sonic. 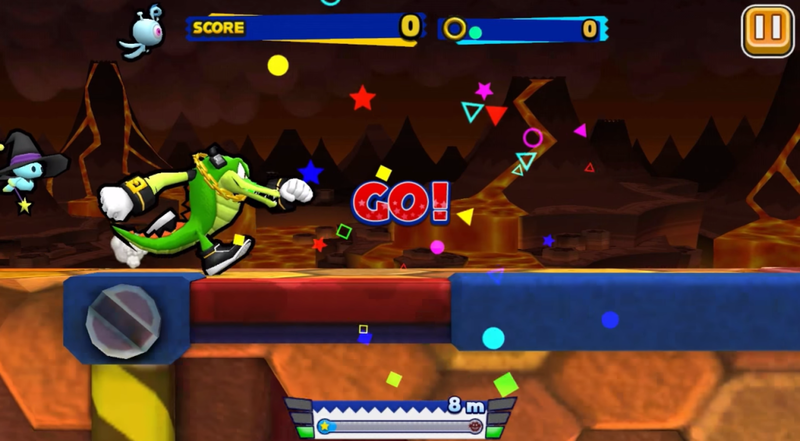 So here’s a new feature that’s a recap of SEGAbits and SEGA stuff. To my friends at Sega of America: I, along with the video game historian community, believe the contributions you have made at work are worthy of preservation—and the fact that Sega of America’s Potrero Hill office is closing puts the preservation of precious historical material at risk. We’ve seen this happen before with Sega’s European offices and want to ensure that future generations know the value of the work you have done. Please email [email protected] to organize collection. Last week my ‘Something for the Weekend’ feature was on the subject of GameChops’ awesome new ‘Spindash’ album, full of dance remixes of classic Sonic tracks. Hopefully if you enjoyed that taste you looked a little more into GameChops and what else they’ve done. PROTIP: There’s some mighty fine stuff there. But I’m not here to link another playlist or album, not exactly. 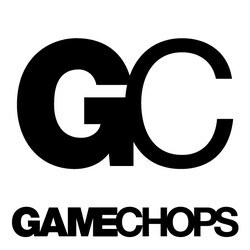 Today I actually wanted to talk about why GameChops, as a concept, is actually really cool and why you should be following them closely. What this effectively means is that when an artist remixes a piece of video game music, be it Sonic, Mega Man, whatever you like; when you support that artist, you are actually supporting them and also the rights-holders of the original track. This effectively means that GameChops remixes are all officially licensed, after a fashion. So go check them out, you (probably) won’t be disappointed.